Are you attracted to the world of fitness? In that case, we imagine that you will be more than used to read information about all types of diets and sports routines. Now, have you ever done the exercise -never better said- to analyze the subject from the opposite perspective, to know what the day-to-day life of a personal trainer looks like? In this case, and unlike what happens in other areas, the lifestyle of those who seek to get fit and their monitor does not differ substantially. In any case, no one should be surprised that the daily work of these professionals involves a high dose of discipline, perseverance, and hard work. In addition, we must not lose sight of the fact that not only are they co-responsible for the people they train to improve their appearance, but also for their health and well-being. Although there are no fixed rules when distributing the hours of the working day, there are some facets that none of these professionals should leave aside, and that require effort and daily dedication. We summarize them below. As it is known, to follow a strict schedule in daily meals is a fundamental factor so that the results of physical exercise are more visible. Hence, they should always eat at the same times and more frequently than usual (they usually do five or six meals a day, instead of the three of rigor). In addition, these intakes are usually different from the rest of the population; For example, many people tend to take carbohydrates (such as rice) accompanied by tuna or white meat before noon. Unfortunately, the absence of a toned physique can make many people looking to lose weight or tone up decide to turn to another professional if they see a little athletic trainer. For this reason, exercise and sports are an essential part of your day-to-day life. In many cases, they allocate one or two fixed days a week to work specific areas of the body. For example, legs and cardio on Mondays and Wednesdays, shoulders and arms on Tuesdays and Thursdays, etc. Although having a higher education or university is an indispensable aspect – as we have said, it is professionals who must transmit tools so that an important part of the population acquires healthy habits -, the profession of personal trainer demands a constant update, to be to the day of the new techniques training, the last novelties in machines of exercise and dietetics, etc. It is a part of the journey of any personal trainer. In the same way, the personal trainer must take care of their training and their physical appearance through food and exercise. The personal trainer must have leadership skills and put them into practice with their clients, to help them trust their possibilities. If motivating third parties is already an arduous task in many contexts, in the field of fitness and physical activity, this goal is an even more demanding challenge. 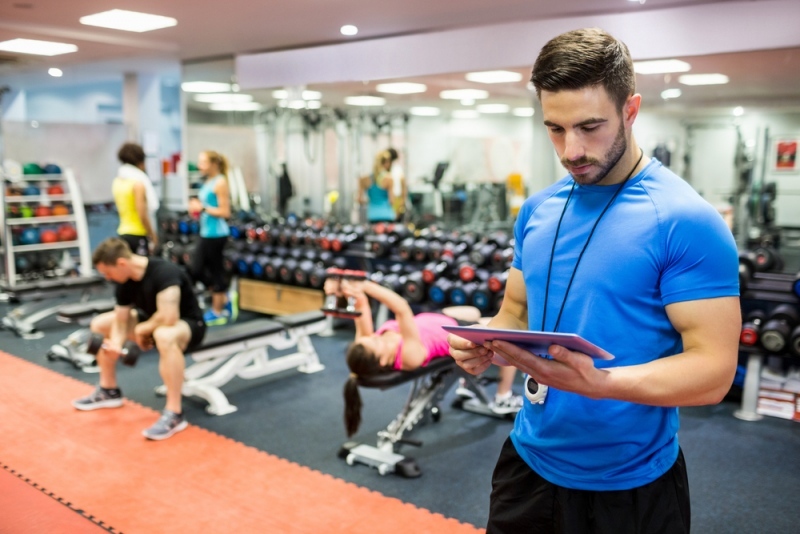 For this reason, acquiring notions of coaching through courses and seminars can help the personal trainer to carry out their work more effectively. Although it is obvious, several hours of the workday are dedicated to improving the physical and mental state of the students, guiding and monitoring their training and progress, which may also require preparatory work at home. If you want to know what aspects are necessary to develop this facet, do not miss this article on the characteristics that a personal trainer should meet. Training is a fundamental aspect for any professional. Although the ideal is to have this preparation before starting a career in this field, this is not always the case. Fortunately, there are options that allow combining face-to-face work with students with training. Fitness courses are most important for refreshing and recycling knowledge of a personal trainer. It will provide you with an exhaustive and comprehensive knowledge, with which you can successfully carry out your career as a personal trainer.